It only comes once a year– about forty professional artists with regional, national, and international renown, gather at the elegant Cana Ballroom in Boerne, Texas to show collectors and lovers of the arts what they have been creating over the past year. 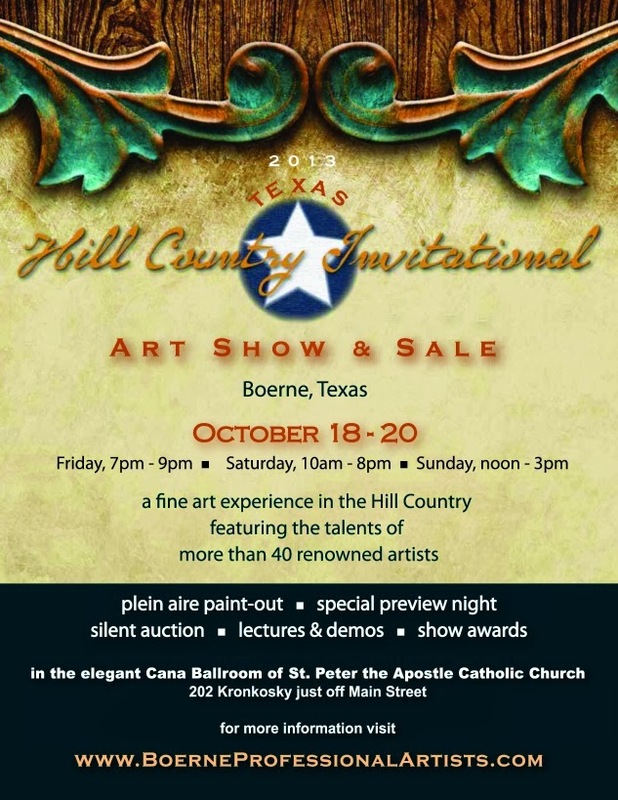 Next weekend, October 16 through 20, the 11th annual Texas Hill Country Invitational will be hosting these artists in the region's most prestigious art show and sale. These artists will be exhibiting works in the media of oils, pastels, acrylics, water colors, photography, bronze, stone, glass, ceramics and jewels. And attendance at any of the events is open and free to the public. Many of the artists from last year are returning, but you can also look forward to some "new blood." Dawn del Alamo, a glass artist, and Pam Ameduri, working in mixed 3D media, will be new additions as well as others. Widely known sculptors, John Bennett (2010 Texas State Artist) and Linda Sioux Henley (whose life-size bronze work appears on the Texas Capitol grounds), will be part of the returning crew. And I will be there showing my own work in fine art panoramic photography. For several years now, the THCI has been a highlight of my art-showing year. The atmosphere is electric, the conversation rich, and the art exquisite. On top of these things, this year (and last) the setting has been the elegant Cana Ballroom. 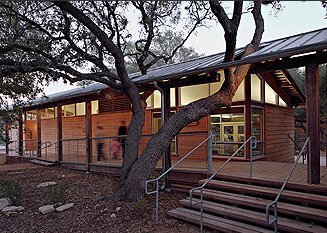 This is a true jewel of the Hill Country: a wonderful and spacious art-friendly environment, situated atop the highest hill in Boerne, with a sweeping view of the Hill Country through the northern exposure of a wall of glass. It is a special time to be surrounded by so many superb works of art, while immersed in the natural beauty of the Hill Country. The show's events begin with the en plein aire "Paint Out" on Wednesday and Thursday. 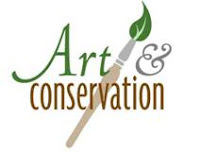 This event is recognized this year by the prestigious Oil Painters of America, and will host numerous painters creating works in the great outdoors in locations all over Boerne. If you have never checked out a "Paint Out" such as this you will find it an intensely interesting opportunity to watch accomplished artists produce a work of art before your eyes. You can talk to them while they work and ask them about their techniques, philosophy of art, etc. All works produced during this event will be available at a silent auction held at the show's Preview event on Friday. Part of the proceeds of the auction will go to public art in Boerne. On Friday, Oct 18, from 7 to 9 pm, the THCI show and sale actually commences with its Reception and Preview. This will be your first opportunity to see the forty featured artists' work and reserve your favorite piece, before some other art-lover "steals" it! The evening will also feature complimentary food, beverages, and live music. At 8:30 the "Best" awards will be presented. This will also be your opportunity to participate in the silent auction of the paintings produced during the "Paint Out." On Saturday, October 19, art show and sale hours will be from 10 am – 8pm, and will include a slate of demonstrations and art lectures throughout the day. These demos and lectures were quite a hit during last year's show, with many artists giving considerable insight into how and why they produce their art. 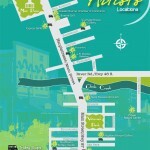 Beverage and food trucks will be outside the Ballroom during the day. Sunday, October 20, wraps the show up with your final opportunity to view (and buy!) these wonderful works, from noon – 3 pm. 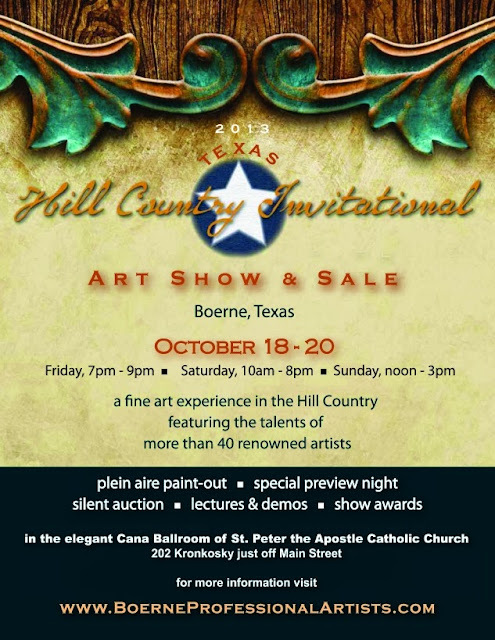 Do yourself a favor and take the time next weekend to head to Boerne and experience all that the Texas Hill Country Invitational has to offer. PS– if you are interested in staying overnight, special hotel rates are available at Fairfield Inn & Suites by Marriott and Americas Best Value Inn— just use the code word "ART" when you call. My work as a research optical engineer involves the intersection of lasers and human vision. Recently, this prompted me to take a look at what is frequently referred to as the Stiles-Crawford effect. Although the effect was discovered back in the 1930s I read a much more recent review of the history of this discovery and its subsequent development. W. Stanley Stiles first began his experiments investigating the glare effects of looking into oncoming headlights while driving at night. While the glare and its attendant problems were his primary concern he stumbled onto a totally unexpected feature of the human visual system along the way. 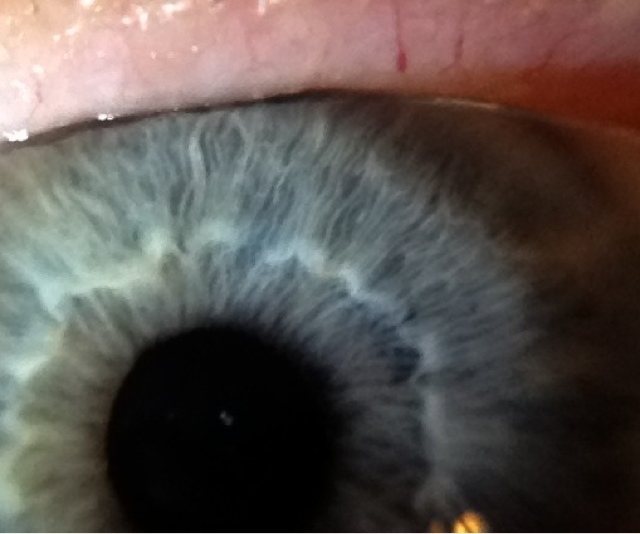 Although I won't go into what may be for you totally boring details of the effect, suffice it to say that has to do with the highly directional light sensitivity of the retina's cone cells. Of course, these cells are the ones that are primarily responsible for the eye's ability to discriminate color and to detect small details. While the effect itself is very interesting to me personally from a number of different aspects, what most caught my attention was that 80 years later those closest to this problem still have no conclusive understanding of its mechanism. It is simply amazing that with all of the modern biological microscopic imaging, high powered computer modeling and such that this simple effect still escapes a clear definition as to its cause. The article went into some detail concerning modeling work that had been done over recent years to "prove" a waveguide theory as the basis of the effect's operation. This work has shown the theory to be inconclusive at best. Other theories were likewise recounted in the review, as were their shortcomings. The review delved deeply into very minute details of the structure of the cone cells– how they are organized, and how they most likely function. An incredible level of understanding currently exists of what goes on in these tiny detectors of light, and yet, this understanding does not yet provide a full picture of how an effect discovered nearly a century ago fundamentally works. Perhaps a full and accurate explanation lies just around the corner...or perhaps not. It seems that regardless of one's pursuit in life, the more one understands about it and the more expert we become, the more we understand our own ignorance and how little we really know. Deep and real knowledge always seems to bring with it a strong dose of humility. 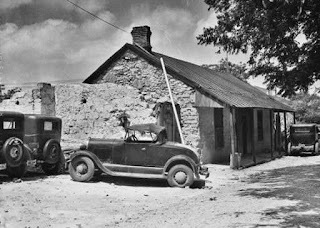 This photograph was composed at San Antonio's historic Mission Concepcion. Although the most complete and original of the five missions, Concepcion may be the least visited. In my extensive series of photographs of the missions I have found Concepcion the most difficult to photograph– not because because it lacks any beauty, but rather, because it possesses some inscrutable, ineffable qualities that are problematic to capture. This particular cropping of the image was distilled from a larger view of the sanctuary which included other elements of the sacred space. This limitation of the overall scene tends to extract the viewer of the photograph from the original location and brings more of a thoughtful, abstract quality to the image. The overall effect of this image is to cause the viewer to raise their vision upward, from the little light below to the more celestial bluish light that illuminates the upper portion of the image. The objects in the image become unconnected to the floor upon which the viewer would be standing and this moves the viewer's thoughts from down here below to up above. While the depth of the original and complete image was very much locked within the original location, the depth of the cropped image is definitely moved beyond the simple physical reality of the original space. This second crop, although derived from exactly the same image as the first becomes an entirely different photograph. This photograph is available in a Very Limited Edition of only 8 copies, printed and mounted archivally on special canvas. The full, framed size is 20 by 72 inches. 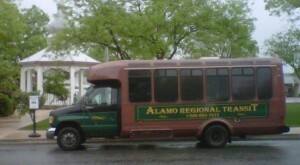 Call now to reserve yours— 210-241-6132.
abides above, unchanged and true. a dungeon dome of darkened hue. 'til in their gloom His dawn arrives. to fit and forge it, hid from sight. emits a ray and scatters night. Light is by any measure astonishing stuff. Its effects are profound and universal. Without the powerful, energizing influence of the sun's light, life on this planet would not exist. And, yet, it cannot be touched or grasped. You can't open a mason jar at high noon, wait until it is full of sunlight and then close the lid, hoping to store some of this wonderful elixir until the dead of winter when the sun is low. Arguments have raged on for centuries concerning light's fundamental nature. How should we define it? What is it, down at the core of its reality? For a long period of time the best minds believed it to be a particle. Then, more detailed experiments demonstrated it to be a wave. And later yet many claimed it was both. Clearly, it is not just a particle, nor a wave, or even both (these are simplistic and very limited analogies), but it is simply what it is– light– in all its glorious mystery, and unable to be defined conclusively by men. The art of photography obviously depends intrinsically on light, as its very name declares: drawing-by-light, or making images through the agency of light. Most other arts also make great use of light, albeit in less obvious ways. The painter who views an incredible natural scene and strives to interpret it on canvas is making great use of the sunlight which reflects and refracts from the portion of the universe within her field of view, is focused onto the retinal sensory apparatus within her eye, and which finally forms a model of that universe within her mind; modified and manipulated by her experiences, beliefs, and moods. Even after she has completed her work, the viewer and appreciator of her art relies completely on the light to illuminate the work, and to repeat the process of perception. Although we will never fully plumb the depths of the true nature of light, we can certainly appreciate some its more obvious aspects. I have titled my blog here "Revealing Light" because of light's marvelous ability to bring forth understanding where something was previously hidden. It is almost impossible to overstate the significance of this revealing power of light. In fact, in day to day conversation we often directly (without fully realizing what we are saying) refer to this unsurpassed power that light possesses to bring forth understanding from darkness. We use terms and phrases like "illuminate," "bring to light," "enlightened," "it dawned on me," "shine some light on it," and one of more recent vintage: "focus like a laser beam." Photography depends upon this unique revelatory characteristic of light for much of its artful power. Countless photons stream from various directions onto the photographer's subject and into the scene. As they interact with the material surfaces they encounter, they either become diminished, bounce off, shift angle, or are otherwise modified by the subject. Some of these altered photons make their way into the entrance pupil of the camera's lens, bringing with them new information that came from the subject. Just as humans are affected as they interact with each other, or with the things and ideas swirling around them and are changed somehow by the interaction, so photons are forever changed as they encounter objects and conditions in their path. One of Solomon's Proverbs says that "as iron sharpens iron, so one man sharpens another." That is, people are profoundly changed as they "rub up against" each other. And so, light is changed as it "rubs up against" the universe around it, picking up information and understanding of the things it has encountered. For the photographer, the final piece of the interactive power of light is when these photons, carrying information about the subject, encounter the photosensitive material surface within the camera– whether that be silver-based film, or the highly purified silicon from which the photodiodes of a digital camera are made. When this final encounter happens, the photons deliver their load of information and the photograph is crystallized– made manifest as an artifice. The photon, then, is no more. It has given up its life for a new existence: the image, the photograph. This dual photograph came about in a rather circuitous manner, which I will not go into here, but can be found in a previous post. The initial recording of the photograph was mostly unremarkable. I do remember, however, being impressed by the artificial "canyon-like" space between the two limestone walls of Mission San Jose's sanctuary and convento. The walls are fairly close together, built of limestone blocks, and the roof is simply the sky above– reminiscent of "The Window," a unique slot canyon in Big Bend National Park. I first composed a vertical panoramic shot toward the west, and later realigned from the same location to compose another vertical shot to the east. At the time, there was no attempt to connect one image with the other. The sky overhead was mostly a high, thin layer of nearly homogeneous cloud cover, with some blue showing through directly above. The thin layer allowed some direct sunlight to reach the surface of the earth, so shadows were clearly cast, but they were somewhat diffused and softened by the cloud cover. The completed images are certainly complementary. These are bookends, or maybe parenthetical symbols. They are strikingly symmetric in composition and geometry, yet assuredly asymmetric in subject, tone, and feeling. When they are properly viewed together, the view to the west (OPEN PORTAL) is on the left, with the view to the east (OPEN WINDOW) on the right. The view directly up into the sky displays strong geometric symmetry between the two images. The precision of the symmetry is all that more amazing when I realize that I had made no such attempt at symmetry when I composed them separately. The symmetry of the compositions continues downward from the large lit space at the top, to the middle and somewhat smaller open spaces, and finally to the smallest bits of sky below that. These three open views to the sky in each image are likewise separated in the compositions by corresponding spans of rock. The colors revealed in the sky in the two images, however, are asymmetrically flipped: OPEN PORTAL shows the bit of blue at the top, while OPEN WINDOW registers the blue toward the bottom. This bit of asymmetry causes the eye's interest to circulate in a clockwise pattern when viewing from one image to the other. And while the shadows on the ground in OPEN PORTAL continue to sweep upward in a continuous arc with the tops of the walls overhead, the situation is distinctly different in OPEN WINDOW. Here, the primitive wooden beam/ladder is quite out of place with the arc formed by the windows and the opening overhead. The beam, instead, seems to be trying to emulate the direction of the arc in the other image. Beyond the purely geometric aspect of the dual composition, there is a richer and more significant parallel between these images. The image toward the east I have called OPEN WINDOW for obvious reasons. I have subtitled it JACOB'S DREAM. The primitive, undecorated subject takes one back to the dawn of history– maybe even pre-history. The crudeness of the hand-hewn beam adds to the primeval atmosphere. Mystery abounds in this image: the disparate shapes of the stacked windows, the unknown purpose of the beam, and why is it stacked there? I have come to see that this image reminds me of the story of Jacob's fleeing from his brother Esau in Canaan. On his way to a place he'd never been, he finally tired and rested in the wilderness. Lying on the open ground, he placed his head on a rock for a pillow, and dreamt a dream of cosmic proportions. He saw the heavens opened, and messengers of God ascending and descending on a ladder– a stairway extending from the earthly plane on which he lived and slept to the heights of God's abode in unapproachable light above. Though he was fleeing for his life, he was reminded of God's promise to both him and his progeny. God's Invitation was extended to Jacob to enter into and receive the promise. The image toward the west I have called OPEN PORTAL. Although there are numerous parallels and congruencies between this view and the other, the change in subject, perspective, and sense is dramatic. Where the eastern view was primitive and mystical in nature, this view is refined and accessible. The crudeness of the rough hewn beam in OPEN WINDOW is countered here by the finely conceived and crafted stone carving of the portal. The geometric symmetry between the two images is echoed by the two palms in terracotta pots flanking the portal. Overall, this setting, while still old by present standards, seems much closer to our own century than the view to the east. This image recalls for me another "Invitation." In an era later than Jacob's by nearly two millennia, another young man was flying like the wind from his own city to a foreign place. This Saul, however, was not in flight for fear of his own life, but he was driven by his determination to hunt and chase down others to the point of their destruction. But his plan was interrupted by a vision as overwhelming as Jacob's had been. Fully awake and filled with violent intention, he was knocked from his mount by a surrounding light that was far brighter than the noonday sun. The intensity of the brightness and the realization of the sad truth of his own life not only instantly struck him blind, but profoundly changed the course of his life. The LORD of Life, Whose followers this Saul had sought to destroy, had sought even Saul, and invited him to follow Him and receive His promise. These two Invitations, though separated by a score of centuries, are, yet, fundamentally the same. And this Creator of all life continues to extend His Invitation even to this present age. He still reveals Himself through dreams, even violent visions if necessary to capture our attention, and calls us to receive the priceless promise he offers. These photographs are available in Very Limited Editions of only 10 copies each, printed and mounted archivally on special canvas. A special discount is available when purchasing the pair as a diptych. The full, framed size is about 72 by 20 inches. Call now to reserve yours— 210-241-6132. Most cultures have revered trees as a symbol of prosperity, longevity, and the tenacity of life. This enigmatic image is one of a series of photographs I am producing that celebrate the joy and richness of life as exemplified in trees. I call the series: "Trees of Life". This photograph makes great use of the unusual format of a vertical panorama, and spans nearly a full 360° vertical field of view. Imagine standing near the edge of San Pedro Springs, near downtown San Antonio, looking down towards your feet and then gazing upward along the trunk of a great cypress tree. You look directly above you at the overhanging cypress boughs, then down behind you at trees beyond the springs and finally, down into the springs themselves. I am fascinated by the connection of water, earth, and sky, and these three find their most profound and living relationship in the life-forms we call trees. The wonder, and the practical and aesthetic value of trees is inestimable. God planned and planted the original Garden of perfection, in the center of which stood the Tree of Life. This Tree represented His perfect provision of life unending and abundant. A future reestablishment of such a Tree was revealed to the prophet Ezekiel, and centuries later, to the prophet John on the island of Patmos. Ezekiel described this Tree of Life (though not using that specific term) in the plural: "trees." John, writing much later about a very parallel vision, seems to lean back on the original description in Genesis as "the tree of life," but he adds an interesting twist by claiming that this "tree" (singular) exists on both sides of the river. One tree, but existing in more than one place at a time. The Tree never withers, or lacks for water, its root penetrating deeply into the ground below, continually moistened by the River. The Tree, never dormant or inactive, produces fruit every month. And its leaves are sufficient for healing, even on a global scale. Trees are marvelous wonders of the natural world. Their complex biology boggles the mind, and their astounding aesthetic design causes the imagination to soar. If you haven't yet, plant a tree, and watch it grow as you do! This photograph is available in a Very Limited Edition of only 12 copies, printed and mounted archivally on special canvas. The full, framed size is 20 by 72 inches. Call now to reserve yours— 210-241-6132. Some time ago, I was traveling by commercial airlines from the San Antonio area to Boston. I am always fascinated by the ability to travel across the continent by air and I delight in the view from such an elevated platform. When the plane's wheels touch down on the runway at my destination, it always seems too soon. This flight was just such an eye-full since nearly the entire trip we encountered various forms of exciting atmospheric conditions. This was a great time to try some of the photographic experiments that I like to play with when confronted with such great subjects: huge, towering thunderheads, long stretches of unbroken cloud cover, and unusual sunlit conditions. Often, these experiments are interesting but never materialize in usable photographs since the cabin windows so frequently are very poor in optical quality. Things like age-crazing, general scratching and scuffing, and big gooey smears of hair gel take a huge toll on the ability to take decent photographs. On top of that, reflections of bright things in the cabin can dominate the view as well. To mitigate some of these issues, I usually try to bring with me micro-fiber cloths to clean the window, and it's also a good idea to wear as much dark clothing as possible to reduce reflections. This trip I was doubly-blessed with a high quality, clean window, and sunlight directions that minimized any reflections. At one point in mid-flight we were flying near 30,000 feet (over 5 miles up) and traveling along between two layers of clouds: a very high layer of thin clouds, and a lower stratum of complete cloud cover (the earth's surface was entirely hidden behind it). The colors of the sky, where it could be seen, were absolutely entrancing– from a light cyan/turquoise near the surface of the earth (the normal sky-blue we see from down here) graduating to a much deeper and purer blue looking up above the horizon. When gazing up as high as I could see out of the window, the sky was nearly black, but still discernibly blue (maybe a blue-black or "midnight blue"). I tried some different techniques to capture some of this scene, which overwhelmed me with the vastness of the layering of the clouds, and the pure beauty of the unadulterated colors. I didn't look at the photos until several weeks after the trip, and when I did I found quite a few semi-interesting shots, but nothing that really stood out to me...until I came across one that I took as we flew between the two layers of clouds. The image really took me back to when I was observing and enjoying it in person. Recently, I decided to go back to that photograph and try it out in large scale on canvas. After the photograph had been printed, coated, mounted, and framed I sat the completed work up against the wall in my studio and was amazed at how it had come out. It looked to me, and had the feeling, much like the abstract paintings that I so admire. Then it hit me. Turning it upside-down, I thought "let's make it a little MORE abstract." This new composition, which placed the earth at the top of the canvas and the sky below it, was definitely superior to the conventional view. The very dark blue of the highest atmosphere was now at the bottom of the image, giving it much more a sense of stability and solidity. The light gray solid cloud cover was now a band of light towards the top, with the brilliant cyan/turquoise streaking between the two. The deep blue below, although actually a view of the high atmosphere appears to be almost water-like. But if it looks like water, where is the horizon, the distinction between the atmosphere and the ocean? The whole effect is a bit mystifying and one is reduced to the pure simplicity of enjoying the colors and the structure of the image, without being able to really ferret out what is going on. The more I have looked at this image, the more it seems to me shrouded in the enigmatic mists of the original Creation itself. Some of the opening phrases of Genesis ("Beginnings") say that "...God made the expanse (the firmament) and separated the water under the expanse from the water above it. And it was so. God called the expanse 'sky.' And there was evening and there was morning– the second Day." This photograph is available in an Extremely Limited Edition of only three copies, with just two remaining. The full, framed size is 20 by 72 inches. Call now to reserve yours— 210-241-6132. Note: this article is the first in a weekly series that will showcase my Very Limited Edition photographs. For more information on these editions and how I produce them, click here or on the Very Limited Edition link in the upper right. Some of you may have stumbled upon my blog expositions of my Very Limited Edition photographs, but many have not. I will be changing that here by occasionally featuring one of these editions as a main blog article. As I post these edition articles I will remove their presence in the "Very Limited Editions" static page, currently linked to on the right sidebar of this blog. The reason for doing this is due to the limited nature and number of static pages allowed in this blog. As I add to my limited editions I would eventually run out of my ability to add new ones as static pages. So after some consideration of this situation I have decided to post all limited edition photographs (both current and future) as main articles. This will also allow you to easily search this blog for all "limited editions" and get a full categorization and listing of them, OR, you could simply click on the label "limited editions" which appears in the "tag cloud" down on the right sidebar. Then, you can easily click on an edition in the listed articles for a view of the actual photograph as well as an article describing the image and any other interesting tidbits that relate to it. Thanks again for reading, and you can now be looking forward to articles on specific photographs. 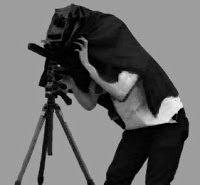 Hiding behind a camera isolates a photographer from their subject, whatever that subject might be. There is a way to break through the isolation and though it should be obvious, many never try it. It seems like forever since I last wrote concerning the mechanics of composition. And you may not remember that when I first approached the subject I said that there have historically been three main modes of accomplishing this. Well...I actually touched on only the first two: the groundglass and the viewfinder. Hmmmm...whatever happened to that missing third?...and what even was it, anyway? Whether looking at a surrogate of the final photograph on a groundglass (or its modern digital counterpart), or at a limited view of the world through a viewfinder, a photographer is usually isolated to some degree from the world he hopes to image. However, there is a third way of composing the image that actually connects the artist to the subject and immerses them in the world. In the 1920s and 1930s, cameras had sufficiently progressed technologically to where they were relatively portable, light-weight, and technically simple to operate. Smaller, faster photographic materials ("film") coupled with faster lens systems also had a major impact. These factors had the distinct effect of allowing the photographer to leave the studio behind and begin finding photographic adventure "on the street." It was a monumental leap for the photographic artist to see her art and craft as not simply that of portraiture and still-life in the studio or even of landscapes (if she dared venture out of doors). She could now join the rest of humanity where they lived much of their lives– in action and on the street. This was the beginning of what we would today call photojournalism. The groundglass obviously became a totally useless antiquity in this new setting. And even though most cameras still contained a viewfinder, those who looked for the real breath of life on the street (and wherever life happened) couldn't be confined behind the optical system of a viewfinder. They preferred to walk among their people, maybe with the camera held at their waist instead of raised to their eye, looking their subjects directly in the eye– eye to eye. This visual communication allowed the artist to be in real human relationship with their subject, however brief that might be. The subject now saw the photographer as another human being rather than some kind of bio-opto-mechanical-hybrid monster. And the photographer could now see their subject as not simply some image to be composed within a little rectangular frame, but as a real, living and breathing person who existed within a larger environment. This alternative mode of composing an image abandons the precision of framing and composition that is offered by the groundglass and the viewfinder, but it definitely makes up for this deficit with increased intimacy and immediacy with the subject. This mode takes some practice to get right, but muscle-memory will eventually take over and make "aiming from the hip" second nature. Try taking photographs with your camera at waist level— don't worry, with modern cameras "film" is cheap, no, FREE! Take as many as you like, attempting to frame the image you desire. When your practice sessions are over you can easily discard your attempts. Do this often, over a period of weeks and months, and you will see a steadily improving ability to point your camera from waist-level at anything you are looking at and capture an image that accurately frames the one you imagined. A side benefit of all this is that you can also gain a deepening aesthetic sense that can free you from overly depending upon precision and analysis. Enjoy your new-found freedom! Some art strikes its recipients with thunder and lightning. Other art yields its secrets much more slowly and slyly. At the recent Parade of Artists in Boerne I had wonderful extended periods of time to talk with some of my fellow artists as well as with the art lovers who came to visit. 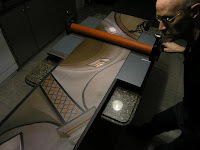 In talking with my brother-in-the-arts, Harold Teel, I asked him to give me a little insight into how he approaches his work, and some of the little things he does to make his art unique. Many of the significant details that he weaves into his paintings may be missed by the casual observer. Harold pointed some of them out to me in his painting SPRING ROUNDUP and I will try to recall his tour here. On the surface, the watercolor painting is composed mainly of two human legs, both clad in chaps, boots, and spurs. The one on the left is the left leg of a cowboy and on the right is the right leg of a cowgirl. There is clearly a romantic involvement here as the legs are closely spaced and the boots are nearly touching. Moreover, the cowboy's gloved hand clasps the corresponding one of the cowgirl as he extends to her an offering of freshly picked daisies. A subtle detail missed by many is the tiny heart-shape embossed in the center of the cowboy's spur rowel— evidence of the cowboy's intent. As I am looking here at the painting, I notice some other parallel details: the half a heart-shape shadow on the lady's chaps, the heart-shape formed by the blue sky (seen beyond the nearly touching legs) and the two clasped hands above, and the near-heart-shape formed by the lady's boot shadow and the dark toe-end of her boot. I also notice several (three, four, maybe a half-dozen) other hinted-at heart shapes in the image which may be conscious, unconscious, or even subconscious— but perhaps, accidental and serendipitous. It's also interesting how the heart-shape itself, a purely abstract contemporary icon for "love" (it really doesn't look much at all like our blood pumps), is composed of two symmetric pieces, joined together in the center— what a great graphic device for two joined by love! And the tension between the heart's pointy-end below and the very rounded-end above seems to mirror the tension that exists in real love between its sharp/compelling aspects on one hand and the comfortable/relaxed freedoms on the other. And then there is the reverberating device in the form of a daisy: the obvious botanical daisies themselves, their shadows, and the profiles of the two spur rowels...with their corresponding two shadows. And don't miss the detail of the lady's spur rowel with a yellow center, just like the real daisies above. Then, unseen, and above and beyond the image's border, is the daisy-like profile of the sun itself which is obviously and brightly illuminating the entire scene. Of course there is even much more to see in the image than what I have stated here, but you get the idea. Take your time when observing art. Look beyond the immediate and the obvious. And even look beyond the subtly designed details. Learn to appreciate each piece for what it is, and it may yield up some surprising secrets. The modern state of photography– which is digital from end to end– has become a ubiquity, transforming it from the exclusive province of a few dedicated professionals and passionate amateurs to something entirely different. The capture of photographic images is now everywhere, at all times, and for every purpose– sometimes even for no purpose at all. I suspect (though I haven't actually seen credible estimates) that the number of photographic images captured in just the past five years has probably exceeded the total number of photographs recorded in the previous one hundred and eighty years. Niepce could never have imagined where this technology would go when he gave birth to it at his French country estate in 1827. We hardly even think about taking photographs anymore, it has become such a natural and almost automatic act. See something that interests you?– just lift your phone from your pocket, touch its screen, and voila– there it is! Touch the screen again, and there it is on Facebook for all the world to see and marvel at (or maybe not, if it's a photographic record of what you are having for lunch). Want to see that image in some more "artistic" manifestation of itself? No worry– you no longer need access to an expensive and difficult-to-master chemical/silver darkroom, or even some excessively high-priced photographic software package. You can simply use the freely-downloaded "app" that already exists in the same phone you took the photo with. Simply touch your screen a couple more times and, for absolutely no monetary (or even temporal) cost, you can be an instant Brady or Adams or Cartier-Bresson. Or so you think. The democratization of the photographic arts and sciences is, I believe, a very good thing overall. 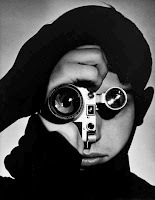 It has (or will soon) put the amazing power of photography within the palm of nearly person on the face of this earth. This is bound to result in some incredible art that never would have existed otherwise. But I am wondering if all of this instant photographic gratification is taking a toll on our ability to really "see" the world around us, on our capacity to truly experience and enjoy this world. Holding a camera and intentionally aiming it at something in the world forces us to see in a different way. It is this alternate vision that is the basis for the art of photography. But it is possible to have too much of this good thing. A few years back I realized that I almost always had a camera at the ready– I just didn't want to leave open the possibility of missing that once-in-a-lifetime shot. Those unusual moments when I didn't have my camera with me I would look around me and be thinking– "Oh no!... just look at that!...if only I had my camera, what a shot that would make!" I found myself elevating the art (or potential art) over the reality from which it was derived. Since that time I have resolved to take periods of time away from the camera– and away from the desire and compulsion to produce art– and to come back into direct and intimate contact with the real and vibrant world around me. These are times I seek to lay aside my drive to create in order to simply relax and enjoy the real Creation. These usually prove to be times of refreshment and preparation for a whole new (and unexpected) direction in my creative pursuit. If you happen to find yourself taking photographs too frequently, too casually, or maybe too compulsively, think about taking a break from it all. Lay your camera aside for a while, or hey, you might even lay your phone aside, and find yourself rediscovering an older and deeper way of experiencing the world. Try it, you'll like it! A note to my readers— you may have noticed that my fairly regular (weekly?) blogs have been missing for a couple, no, a few months. Multiple factors (extended business travel, and a physical injury making typing difficult) conspired to knock me off my routine. Putting the blog off for over a month soon became habit. But I am "back in the saddle" now and ready to ride again.